The Sabbath is mentioned in scripture more than any other holiday. There are many references to the Sabbath in the Bible including Genesis 2:3; Exodus 16:23; Exodus 20:8; Exodus 31:13. In Genesis 2:3, God makes this day a day of rest for Himself, declaring it a holy day. It is a day set aside for rest, relaxation, and worship. We rest from the busy lifestyles of the other six days of the week. We relax on the seventh day as a way to refresh our bodies with rest and renew our mind and spirit for the coming week. We also rest to follow God's pattern, because He rested on the seventh day of creation. We worship because God has declared this day holy. Every seventh day is a Sabbath. Saturday is considered the seventh day of the week. Specifically in the Jewish religion it is from sundown Friday night until sundown Saturday night. Some holidays have Sabbath days included in them even though they are not Saturdays. For example, the first day of the month of Tishri is considered a Sabbath (Rosh Hashanah) Lev. 23:23-25. Passover, Yom Kippur, and the Feast Of Tabernacles also have declared days of rest as part of their observance. The Sabbath after Tisha B'Av is called the "Comfort Sabbath." Every seven years farmers were not allowed to plant in the fields. The earth deserved its sabbath rest also. The Bible tells us of an occasion that Israel failed to provide this rest for the land. As punishment, Israel ended up having to leave the land and its people were taken captives by their enemies. Later, God allowed their return,, but only after the land had rested the number of Sabbaths it had previously been denied by Israel (2 Chronicles 36:21). The land sabbath was for seven years. The seven land cycles (49 years) were followed by a Year of Jubilee. During this celebration that came every 50 years, slaves were allowed to rest and were set free. The land also rested (Lev: 25:8-11). One of the appropriate greetings for this holiday is Shabbat Shalom which means "Sabbath Peace - or have a peaceful Sabbath." Sometimes people like to use the general greeting of Shalom Aleichem meaning "Peace be unto you." (Jesus often used this greeting). The traditional day of the Sabbath is Saturday. It is observed according to Jewish custom from Friday night sundown to Saturday night sundown. This follows the biblical pattern of creation where God created evening and then morning and it was one day. In Judaism, a day runs from sundown to sundown. For many Jews, there is a feeling of obligation to attend a service where the Torah is read. The Sabbath is seen as a great opportunity for family time where parents can discuss with their children the day's scripture reading over a lunch that may have been prepared in advance. It is a time for resting (a nap?) in the afternoon and a time of celebration, mixed with sadness when it is over on Saturday evening. In general, work on the Sabbath is forbidden. Some look at this as a no wage (earning money) restriction while others look to the letter of the law (Mosaic and Oral Law) and do no work of any kind (house cleaning or lawn mowing). In Israel, most of the businesses are closed on Saturday for this reason. Jews who observe these customs are described as being Shomer Shabbat (Keepers of the Sabbath). There are many areas in scripture that recognize the Sabbath and we know from Exodus 16:23 that work was forbidden. The Jews were forbidden from collecting manna on the Sabbath and were instructed to collect a double portion the day before just for that reason. The penalty for the violation of the Sabbath was death (Exodus 31:14). Most Rabbis understood this to mean that an unintentional violation meant a sin offering was required. Stoning someone to death may have been done on a second offense or an intentional violation. We know that people are not observing the Sabbath to the letter of the law today because there is no capital punishment being handed out to violators of the Sabbath or other area's of the Mosaic Law as well. Good thing that a persons ability to go to heaven is not based on their own works but what was accomplished on the cross instead. The usual Sabbath will start a few hours before sundown. The participant would begin to prepare his heart. To welcome in the Sabbath, sometimes called Kabbalat Shabbat, two candles are lit near sundown and a Blessing Over The Candles is said. Some look at the two candles as representing two important references to the Sabbath in the Bible. Ex.20:8 and Deut. 5:12. Candles are often lit by women who sometimes cover their eyes while reciting a prayer in order to block out other thoughts and help with concentrating on the prayer being said. Some would go to a Friday evening service known as Kabbalat Shabbat (Welcoming the Sabbath). After returning home, it would be time for the Shabbat meal. Before the meal can be eaten, a specific blessing is recited known as Kiddush.Although Kiddush is usually said with a glass of wine, this is not a biblical injunction. It is something the Rabbis added. Kiddush is a prayer recited so that we can "remember the Sabbath day." We also thank God for the opportunity to have this day to celebrate the completion of creation. This Shabbat meal might start with the ceremonial washing of the hands blessing followed by a Blessing Over The Bread. Two loaves of Hallah are customary to remind us of the double portion of manna that was gathered on the day before the Sabbath during the 40 years in the desert. It reminds us that God will provide for us anyway, even if we take the Sabbath off of work. The traditional Sabbath meal continues with a bowl of chicken soup with matzo balls added for extra special Fridays. Then the main course has been traditionally fish or meat which everyone has time to enjoy since they have nowhere to be after dinner. When dinner is over there may be an additional prayer known as grace after meals. Then perhaps some good conversation and to bed so everyone could be rested up for the following morning. The next day (Sat. morning) would probably include a trip to the morning worship service (Shacharis) if one could make it. Sometimes people lived too far away to walk and refuse to ride in a car since building a fire (the spark of a spark plug is considered a fire) is prohibited. When the morning service was over, usually somewhere around noon, there may be some kind of light snack at the end of the service and then a walk home for some lunch. There is a soup that is popular to eat on Saturday afternoon known as chulant. After lunch, there is time for rest, family time, a relaxing read, or perhaps even some fellowship with another family also celebrating the Sabbath. Many use this time for an opportunity to be alone with God, to reflect on the last week, and contemplate where they are on their personal spiritual journey. Studying the weekly Torah portion (reading from the Bible) is often done. Toward evening, one may return back for another service known as the Mincha (afternoon) service which may be preceded by a short story from the Torah by the Rabbi. There may be a snack to eat and then the Mariv (evening) service. This service is like the concluding service to the Sabbath. When this Mariv service is over, there is one thing left to do and that is to say goodbye to the sabbath for another week. This prayer is known as Havdalah Prayer.This brings an end to the Shabbat. When the service is over, the Shabbat restrictions are lifted, and you are now free to do as you please. Many families go out for a Saturday night evening activity like bowling or a movie. It is estimated that 10 percent of the Jewish population world wide observes the Sabbath with its restrictions. The Rabbis came up with a legal definition of work so a person would know if they were violating Mosaic Law. It is defined as follows. "Work is an act that shows man's mastery over the world by the constructive exercise of his intelligence and skill. "(3) They also came up with 39 different categories of work that was prohibited on the Sabbath including, but not limited to, plowing, threshing, grinding, baking, tying a knot, sewing, hunting, erasing, writing, kindling a fire, and extinguishing a fire. Electricity is seen today as building a fire, but timers are an acceptable alternative for turning things on and off. These prohibitions are found today as a combination of the oral law and written law. Exceptions are made by Sabbath observant Jews for medical reasons, although Jesus Christ was labeled a law breaker when He healed people on the Sabbath (Matthew 12:13). Acts of creation or destruction are prohibited (writing or tearing of paper, etc). There were many other prohibitions on the Sabbath that became technical as to what a violation was. Travel was forbidden but it was only considered travel if you went more than 2000 cubits. Fasting and driving are prohibited. Business transactions are not allowed. Circumcision is allowed because it is viewed as a specific kind of good deed that we are required to do. Those who worked in the temple must have been exempt from the Sabbath requirements, because priestly duties like animal sacrifices continued (Numbers 28:9) and showbread was put out on the tables (Leviticus 24:8). This means to delight in the Sabbath. This is usually done at the end of the Sabbath when the restrictions are lifted as the holiday is technically over. A typical Oneg Shabbat might consist of singing, discussion of the day's sermon, and refreshments. If children are included, there may be games or a competition event to play. There is no scriptural mandate that changes the Sabbath from Saturday to Sunday. To learn more about why some people believe the Sabbath day is now Sunday please read the "Sabbath Change From Saturday To Sunday" article from the library page. Yes, the Early Church met on the "first day" of the week to collect offerings (see 1 Corinthians 16:2), but let's not forget that the first day actually began on Saturday night (see acts 20:7), not on Sunday morning. Those same early believers also met on the Sabbath (see Acts 13:14, 42) and on other days, as well (see Acts 2:46; 17:11). This holiday is unique for many reasons. It is the first one ever declared in scripture (Gen. 2:3). God Himself specifically blesses this day. It is the holiday that is celebrated most often (weekly). The traditional Sabbath day is Saturday. God made the seventh day of creation His day of rest. That's when He rested from creating. That does not change just because Christians decide to worship on the first day of the week (Sunday) instead. God did not make one of His creation days to be a memorial to creation. He designated the day He finished for this honor. Worshiping on Sunday is a great way to honor the resurrection, but it does not pay tribute to the traditional Sabbath unless you find your Sabbath rest is fulfilled in the Messiah's resurrection. 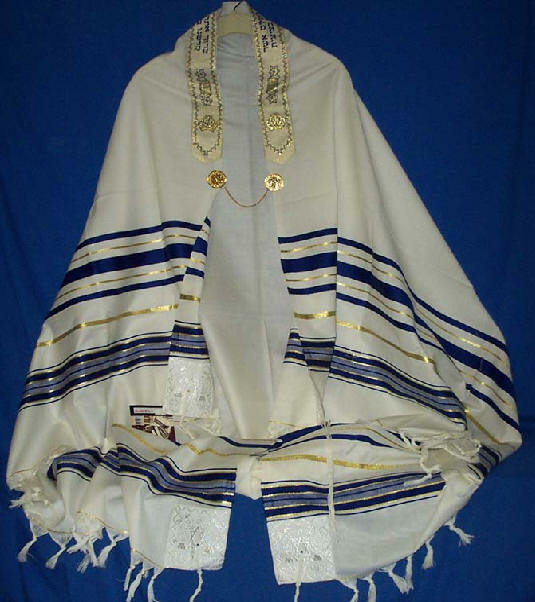 There is special clothing wore on the Sabbath that is not usually worn during the week, like a "Tallit." Some prayers that are part of traditional Hebrew liturgy are said only on the Sabbath. There are restrictions on this day that do not apply on the other week days. A High Sabbath is sometimes referred to as a Shabbaton. The ecclesiastic calendar is divided into 13 months of 28 days each. This way the seventh day of each month was always a Sabbath. People were able to hear the Shofar because it was blown every Sabbath when it was time for the additional (Musaf) sacrificial offering (Num. 10:10). Today, since there is no temple, the shofar is not usually blown on the Sabbath. Some people consider this the holiest day of the year, even holier than the Day of Atonement. God Himself specifically blesses this day in Genesis 2:3. Psalm 92 used to be (still is in some prayer books) the daily psalm for the Sabbath. It was viewed as a messianic psalm looking forward to messianic times yet to come (Tamid 7:4). For many there is a symbolic wedding ceremony that takes place once a week. Israel is the bridegroom and the Sabbath is the bride. God is the brides father and He presents his daughter, the Sabbath, to Israel for a holy marriage. Our attitude should be one of preparing to meet our bride throughout the week, with the wedding planned for Friday night. The preparation for this wedding begins after the Havdalah service on Saturday night. As the week goes on and gets closer to Friday, our anticipation for the wedding should grow. When Friday night arrives, the wedding is here. The prayer that welcomes the Sabbath on Friday night is known as Lechah Dodi. It is an interesting prayer with beautiful liturgy and a joyous melody. It reads in the opening stanza "Come my beloved to greet the bride." In the Talmud, the Sabbath is referred to as the Sabbath Queen (Shabbos 119a). When it comes time to read the last verses of Lechah Dodi, it is customary to stand and face the rear of the room we are worshiping in, to greet the Sabbath Bride. This custom is still practiced today in most weddings when, after everyone is present, the music is played for "Here comes the bride." Then everyone turns around to see the bride begin to enter and walk down the aisle. Paul tried to make it a point to show up at synagogues to deliver the message of the Gospel on Shabbat. He often worshiped at a synagogue and was a guest speaker. The New Testament makes it a point to reaffirm at least nine of the ten commandments in one way or another. Some believe it remains silent on the commandment to "remember the Sabbath day and keep it holy." This is a topic open for discussion. There is a difference of opinion on whether Christians should keep the Sabbath or not. It was the custom of Jesus to go to the synagogue to worship on the Sabbath (Saturday) In Luke 4:16, we read where Jesus entered the synagogue and was given the honor of reading from a scroll of one of the prophets. He read from the Septuagint, the Greek copy of the Old Testament reading Isaiah 61:1-2. The Spirit of the Sovereign LORD is on me, because the LORD has anointed me to preach good news to the poor. He has sent me to bind up the brokenhearted, to proclaim freedom for the captives and release from darkness for the prisoners, to proclaim the year of the Lord's favor and the day of vengeance of our God, to comfort all who mourn, (Isaiah 61:1-2). When he was finished reading, he said, "today this scripture is fulfilled in your hearing." t is unknown if Jesus selected this portion of scripture to read Himself in order to declare His Messiahship or if God sovereignty lined up this section of scripture as the prearranged section to be read that week. (Today's scripture readings are already on a fixed schedule) Either way, through reading this passage, He announces that the time has come for His Messiahship with God's blessing. It is interesting that this section of scripture is never read in the synagogue as part of the regular Torah Reading Schedule. ...when He (Jesus) had by Himself purged our sins, sat down on the right hand of the Majesty on high...(Hebrews 1:3). Jesus is the fulfillment of the Sabbath because His work on the cross is complete. He now rests from that work of paying the price for our sins, sitting at the right hand of the Father. Believers in our Messiah can rest in Him because He offers to share the rest with us. It becomes a peace that transcends all understanding (Philippians 4:7). Jesus was looked down upon by the Pharisees, because He healed a blind man on the Sabbath (Matthew 12:13). Today, Orthodox Rabbis say it fine for doctors to heal people on the Sabbath. So there remains a Sabbath rest for the people of God. For the one who has entered His rest has himself also rested from his works, as God did from His. Therefore let us be diligent to enter that rest, so that no one will fall, through following the same example of disobedience (Hebrew 4:9-11). (This type of rest is sometimes referred to as Sabbath Rest). Many Christians do not set aside one day a week to celebrate the Sabbath because of this verse. They get their Sabbath rest and fulfillment of that obligation from and through Christ (Matt. 11:28). By submitting to His Lordship, they feel He is Lord over every day. They find their traditional Sabbath rest in the knowledge of their salvation. They keep this day holy, the same as any other day, by honoring Jesus as Lord. Other Christians and some Messianic Jews do set aside one day a week, because they feel obligated to or have found it to be a tremendous blessing. If you've never done it, you may want to try it. This setting aside a time of rest can strengthen your appreciation of God's grace if you let it. It also has a way of refreshing and renewing your spirit. Those who celebrate this seventh day Sabbath are also following the pattern that God Himself set up in Genesis 2:3. During the creation process the Sabbath was the first thing God blessed. Is The Sabbath Only For Israel? During the tribulation period, the observance of the Sabbath may be a hindrance. From Matthew 24:20: "Pray that your flight will not take place in winter or on the Sabbath." Sometimes commentators interpret biblical literature to mean that the Millennial Kingdom will be a 1000 year Sabbath, with the Messiah in charge, ruling as king from inside the temple rebuilt in Jerusalem. In Jewish literature, this time is sometimes referred to as "The great Sabbath" and "The world to come." Jewish literature also teaches that the coming of the Messiah could happen at any time. "If Israel were to keep two sabbaths according to the Rabbinical laws, they would be redeemed immediately" (The Babylonian Talmud, Soncino Press, Shabbath 118b). It is possible that during this time in the millennial kingdom there will be a temple in Jerusalem, and animal sacrifices will continue. This will not be because their blood will be necessary to receive atonement, because the Messiah's blood will have accomplished that. The sacrifices may be more of a memorial to what the Messiah accomplished on the cross, similar to communion being a memorial to the Passover Seder. The number of sacrifices may be different than the number required in the Old testament for sabbath worship. So there remains a Sabbath rest for the people of God (Hebrews 4:9). Some believe that this Sabbath Rest will last through Eternity. Get some Kosher bagels and cream cheese and offer to have an afternoon snack together that they won't have to prepare. Ask to discuss the message of the day, and see where it leads. There is a blessing in knowing the Old Testament. Although some Jews keep the Sabbath and try not to turn lights on and off or cook, sometimes they appreciate others who are willing to help with these things. You can share a Sabbath meal recipe like koogle. If your Jewish friends keep kosher, you will have to be sensitive to a particular meal preparation process. In Israel, when friday night sundown comes which is the start of the Sabbath, a siren can often be heard to make the announcement. More so in religious neighborhoods like Jerusalem then secular communities. Some Unique Things About The Sabbath. 4). Christian Jew Foundation - Messianic Perspectives, July/August 2009 p.11. 6). First Fruits of Zion. The Feast of Israel by Bruce Scott with Friends of Israel Ministry, Inc.